Our personal guarantee to you! We believe that communication is a key element to your build running smoothly so there needs to be an open line between builder and owner. You will receive up to date information at each stage of your project including photographs. We will respond to all communications within 24 hours. Put your mind at ease knowing that Daniel Fogden one of the company directors is an advanced trade qualified and a licenced building practitioner with 20 years’ experience in the building and construction industry. Fogden Builders are also Platinum members of the Certified Builders Association of New Zealand. We ensure all of our sub-trades have been through our reference check process to make sure they meet our expectations as one of our companies’ values is providing quality workmanship. 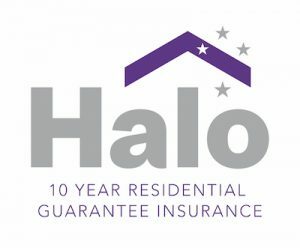 As a platinum member of Certified Builders Association of New Zealand we provide you with a ten year Halo Guarantee which gives you peace of mind and assurance covering you. To ensure that your build is completed to a high standard your home goes through our 287 point quality assurance checklist throughout every stage of your project. So this not only meets industry standards, but our personal one. Each section of the job will be completely checked off before we progress. Your home is a special place for you and we’re privileged to share in that space with you, because of this we endeavour to keep a clean and tidy site throughout your build project. Each week we spend 30 minutes tidying the site so you don’t live in a construction site for ever. Fogden Builders stands behind our quality workmanship and products, so after the 12 months maintenance period is up we will carry out a check on your home and we will give you a copy of the written report to let you know of any maintenance that you may need to attend to. If you have any questions about the guarantee please call us, we are happy to help.